Providing you the best range of resectoscope sheaths, continuous flow resectoscope sheath and resectoscope sheath with effective & timely delivery. We are one of the renowned names in manufacturing and supplying of the Resectoscope Sheath for Urology, which are available with us in various specifications. Our expertise team of professionals continuously involved in the research and development process to make the product suitable to use in any required conditions. 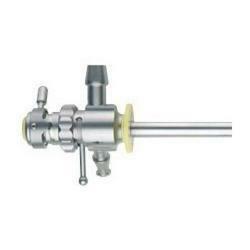 This entire range of Resectoscope Sheaths for Urology is available with us market leading prices. 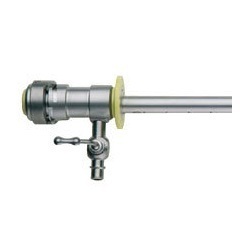 We are one of the leading manufacturers and suppliers of the wide assortment of Continuous Flow Resectoscope Sheath, which is available with oblique, fix shaft end, 2 stopcocks. This range of Continuous Flow Sheath consisting of ceramic insulated inner sheath, obturator and outer sheath. These are fabricated in our highly advanced production units from superior quality of raw materials. We avail this range to our esteemed clients as comparable prices. We are offering a comprehensive assortment of the Resectoscope Sheath, which finds its various usages in hospitals, medical industry and pathology laboratories. Our range of Resectoscope Sheath has various specifications such as fix an oblique shaft end, 1 stopcock and obturator. We offer customized product as per the specifications given by our clients.